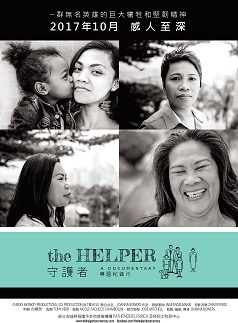 In a city renowned for wealth and luxury, The Helper brings to light the sacrifices they make to support families - both in Hong Kong and at home. Often seen as the second mother in many homes, the stories show the immense contribution they make to Hong Kong society; a domestic backbone provided to so many. This is in the face of heart-breaking separation from their loved ones. Each feel wrenched from families, often missing crucial stages in their children’s lives, but do so willingly in order to financially provide for them. But the overriding message is a positive one. The Helper gives a human face to an often-critiqued community, countering negativity with uplifting stories of personal achievement.